Clixit Acne Eraser is a spot treatment pen that's made with 10% sulfur that's known to dry acne and stop new breakouts from forming. I've always struggled with adult acne since my ealy 20's. 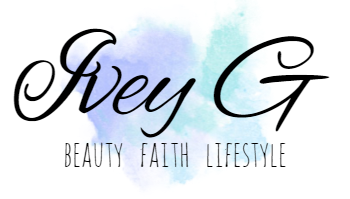 I tried so many products and continue to do so, because I feel like I haven't really found that one product that can heal acne and keep it from forming. I've had a good experience with other acne treatments, but once you stop use my skin just breakouts like crazy. 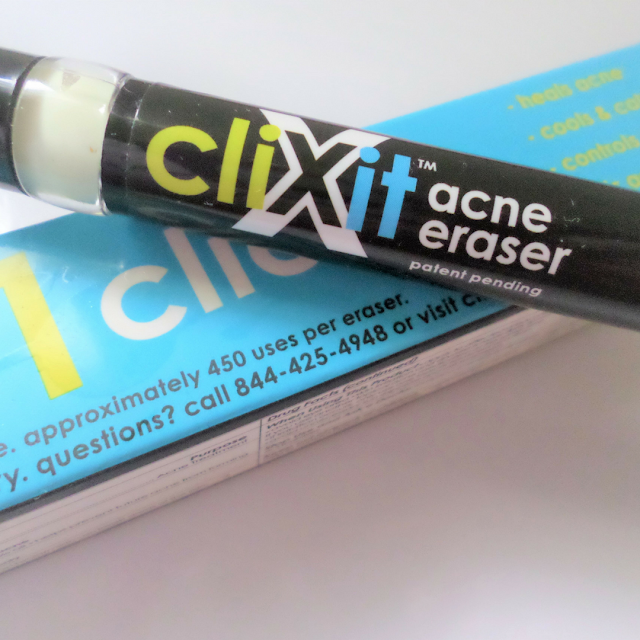 I was contacted by the Clixit Team to try their Acne Eraser, it took me awhile to respond because I was skeptic. After thinking about it and checking out their site I decided to try Clixit. I thought to myself what do I have to lose? Besides I really love trying new products, and this acne treatment could work. 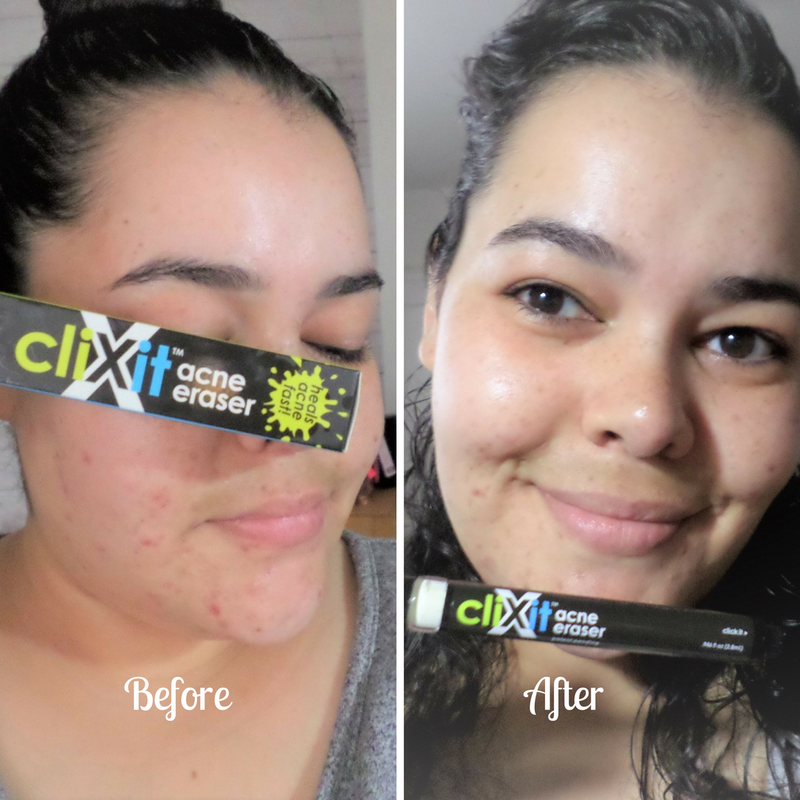 I started using Clixit Acne Eraser In the middle of June. Clixit claims that within 12-24 hours of use you will see a difference. I actually waited 4 days since my acne is really severe. After 2 days of using Clixit Acne Eraser I noticed that my red inflamed pimples reduced in size, and were less red. After 4 days my pimples were gone and looked more like brown spots. My skin on the affected area was also less bumpy and felt really smooth. 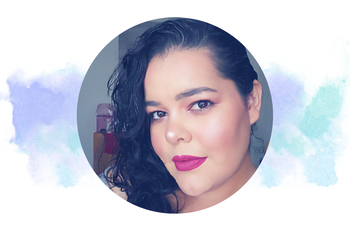 I don't feel like Clixit worked well on my old acne blemishes, but I did have to stop use since I took on the Revitalift Challenge from Influenster's campaign. 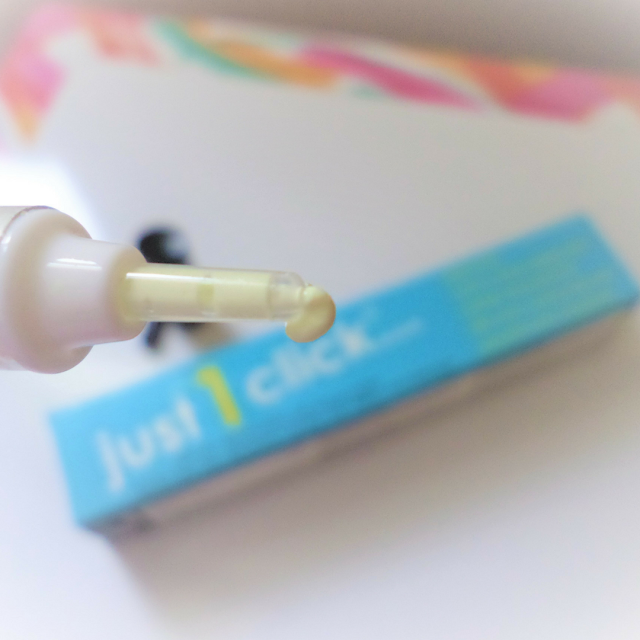 I love that Clixit is infused with Camphor that's known to soothe the skin, and it's also infused with salicylic acid. 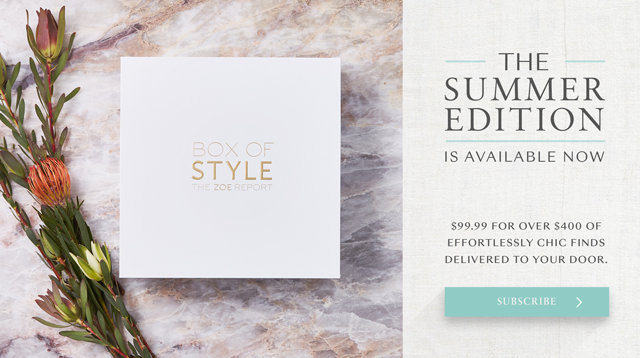 The main ingredient is sulfur which dries acne, and heals. I love how fast it works, plus I also like that although it dries acne, it didn't peel my skin like other acne treatments I've tried. One down-side to Clixit Acne Eraser is the scent. Sulfur on the skin does not smell good at all. I find it to be too overwhelming for me. I think if it were infused with a natural oil to hide the strong sulfur scent that would be great, but I can understand that it might alter the way Clixit works. 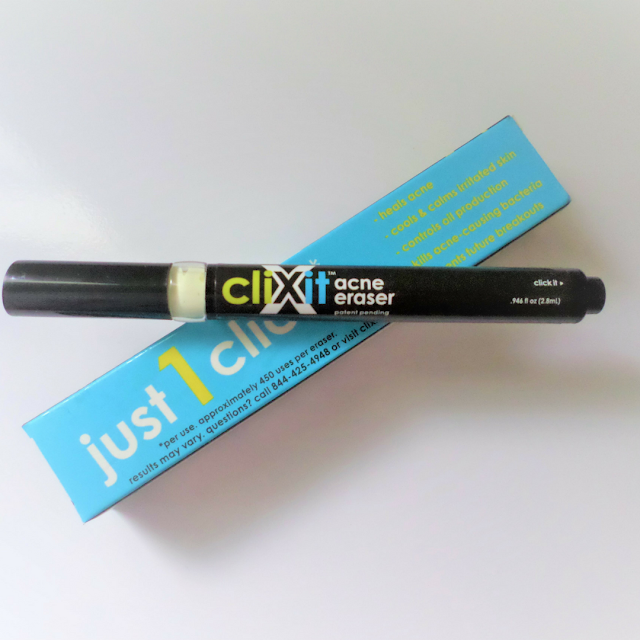 Heal acne fast with just one click of Clixit Acne Eraser. 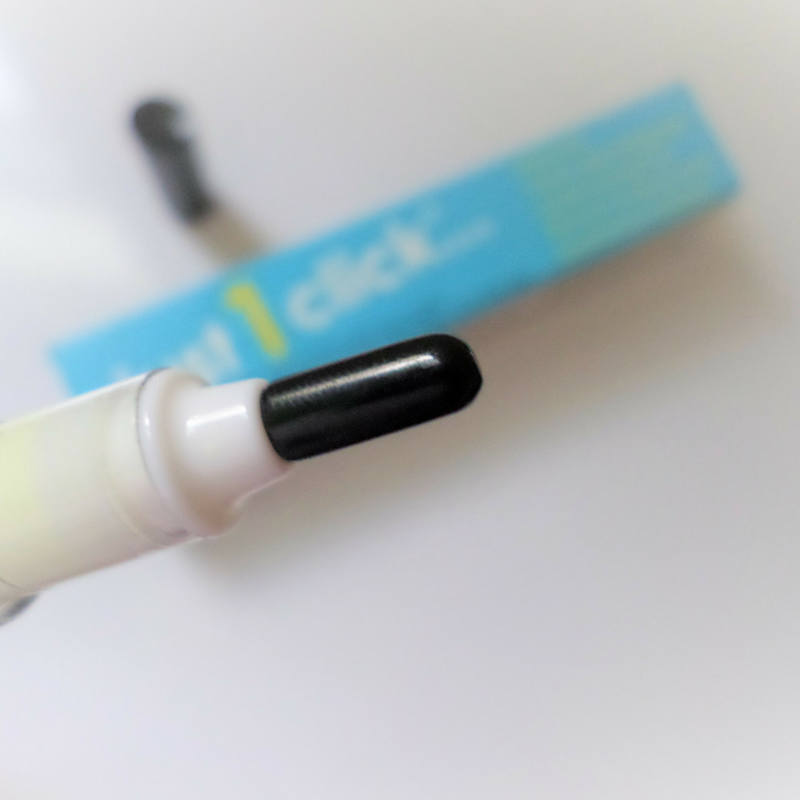 Formulated with a unique blend of healing and calming ingredients, this portable, discreet and unique Acne Eraser click pen works to visibly reduce inflammation and minimize the size of blemishes in 4-12 hours, dry out, and heal active blemishes in 24 hours. 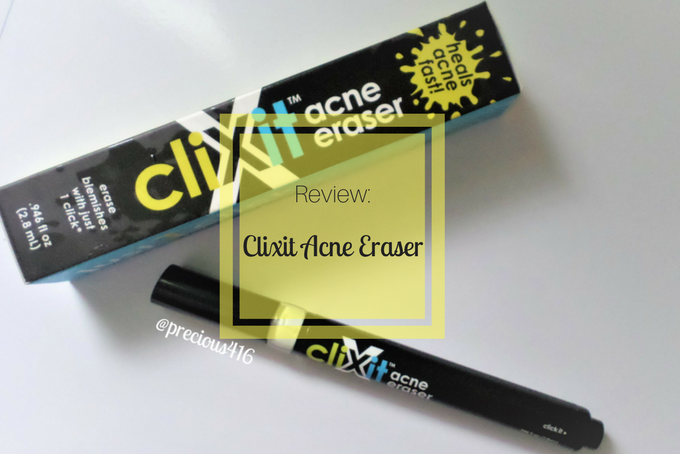 Overall, Clixit Acne Eraser Pen works! It dries acne, reduces inflamed skin, and also soothes. My 12 year old has started using Clixit since he currently has acne on his face, and I will keep you updated via my Instagram page. -Disclosure: The Clixit Acne Eraser was sent complimentary for review purposes. However, the opinions expressed are honest and my own. No other compensation was provided.